Much of this information is derived from the census and the work of Dennis Jones. Dennis also supplied the pictures. 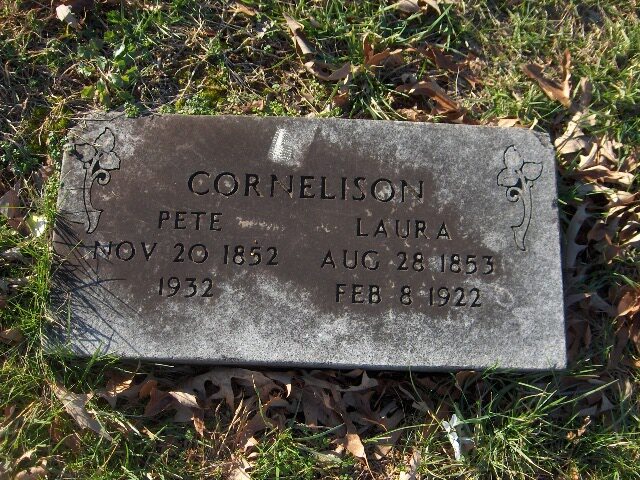 This Laura Ark who married Pete Cornelison in Coffee Co has a birthdate of 1853, just like the Laura of the Orrick family in Warren Co. She married in 1872 when the Orrick family was also in Coffee Co. and she is not with the Orrick family from the 1880 census on. This family is known to pronounce their name as ARK and are transcribed in the 1870 census as ARKE. Two boys in this family, James and John Riley, used the last name ARRICK. The oldest girl, Sarah (Bettie), has her father listed as JOHN ARK on her death certificate. Another girl, Elizabeth Violet, used the name ARICK. Also, there are no real Ark families in this area during this time, and there is no Laura from the Arp families. Therefore, it is probable that Laura Ark Cornelison is the Laura from this ORRICK family. Still looking for a death certificate and Obit. The book Laura is holding in this picture has been identified by cousin Donald as Heralds Of The Morning by Asa Oscar Tait. 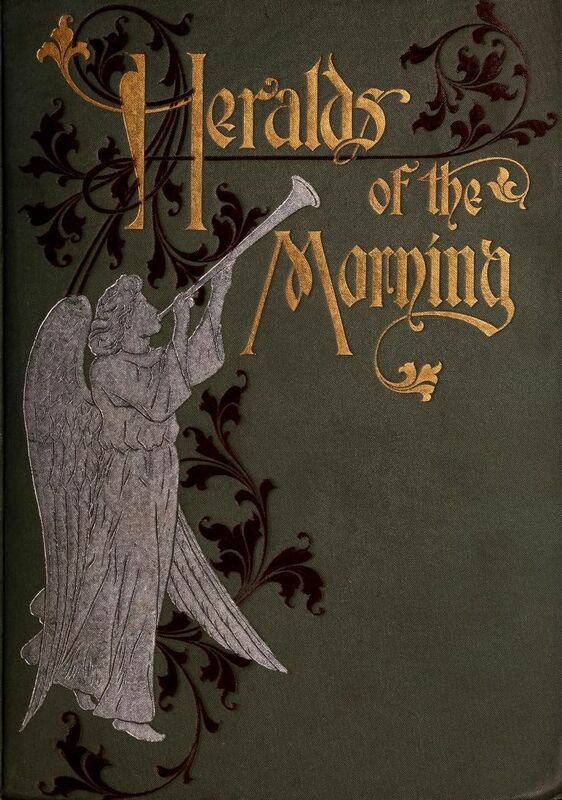 First published in 1899. This is a 7th Day Adventist book. If you have information, Email me. 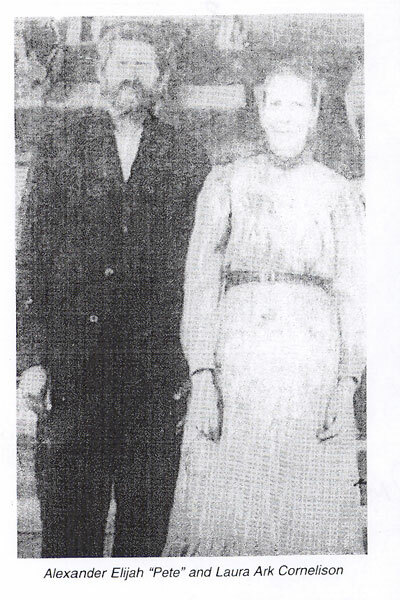 Married: Peter Cornelison (1852-1932) on 7 Aug 1872 in Coffee Co.
Elbert, born May 1894. Died OH. Migration: Apparently Laura Stayed in Middle TN all of her life. Is there an obituary or death certificate? I've looked in the TN death records for all years around 1922 with no luck. I've also contacted the Manchester funeral home and they have no records until 1934. These documents would help confirm that Laura is part of the Orrick family. 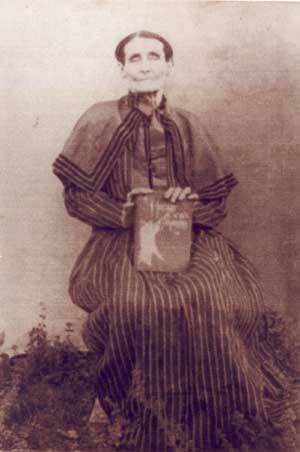 Parents were Elijah Cornelison B 1816 in KY, and Rebecca. Both died in Coffee Co. Kids are John, Jessee, Elizabeth Ann, Isaac, William, Mary M. Franklin C, Nancy. After Laura's death, Peter married to Daisy Travis and had a son, Edward. 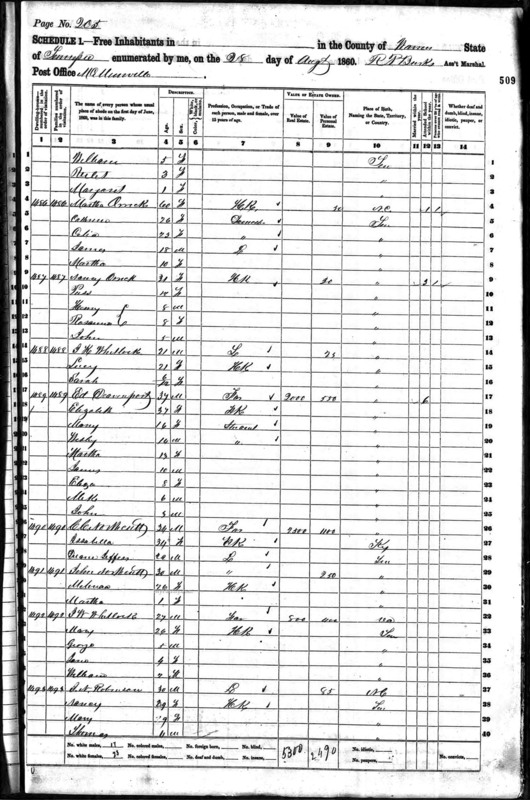 Here is Laura in the Warren Co. TN census: page 1 at the bottom, page 2 at the top. 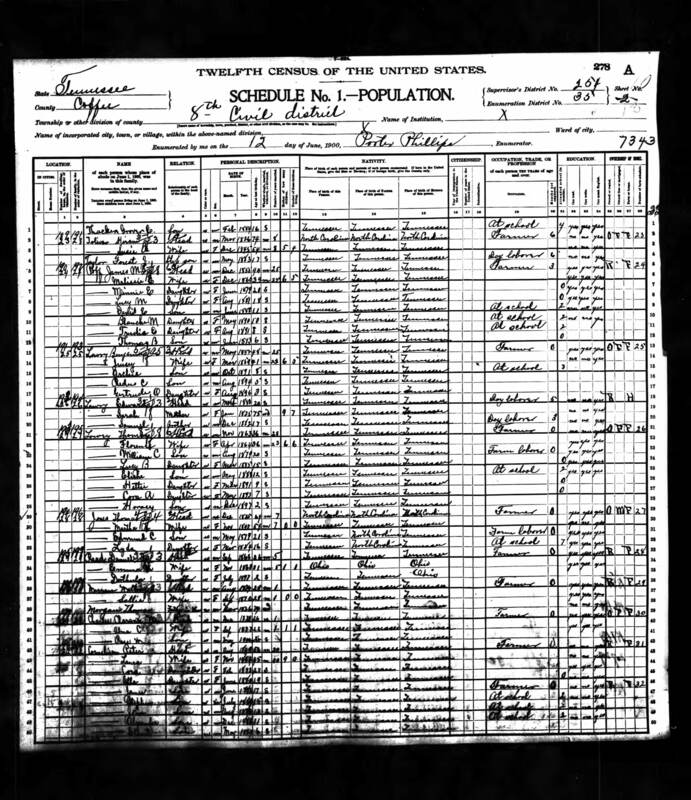 The 1870 census is full of errors. 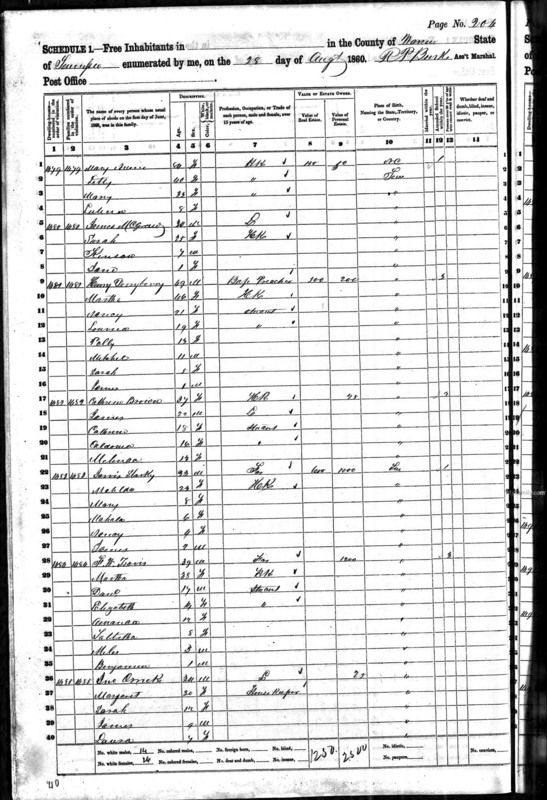 Here is the family in the Grundy Co census - at the bottom. Grundy is next to Warren. The father John has passed, possibly died at the battle of Shiloh. Here is the Orrick/Arke/Arrick family in the Coffee Co census - at the bottom. Laura was married to Peter Cornelsion in 1872 and they are shown with several children. 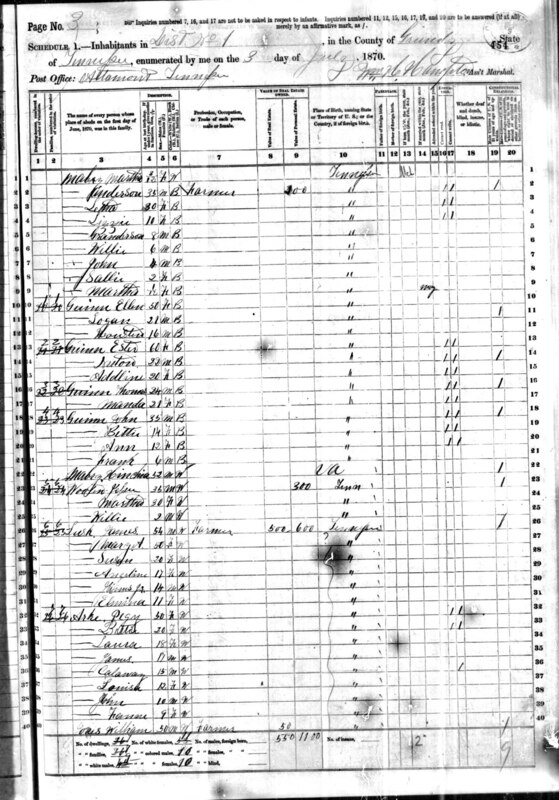 Here is the family in the census. Here is Peter and Laura in the Coffee Co census. 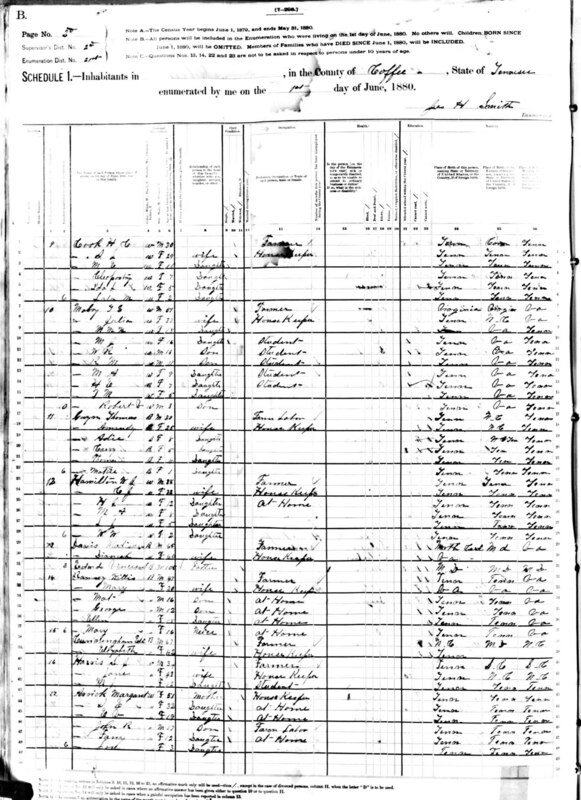 Mary Smith located Laura and Pete in the 1910 census. Still in Coffee Co, TN. They are incorrectly transcribed as Edon and Cara Cornealison. Nearby are Will and Martha Cornelison, and John and Mary Cornelison. Peter and Laura's children have moved away and they are now keeping a young lodger. Laura died in 1922. According to the 1930 census, Peter is now married to Daisy Travis, and now has a child, Edward. They are listed in the Coffee Co census. 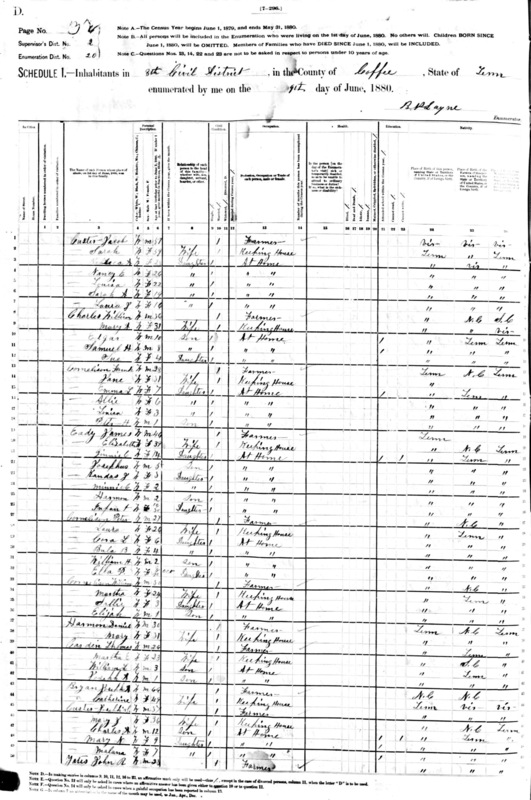 The 1940 census will be available in 2012. Can you wait?